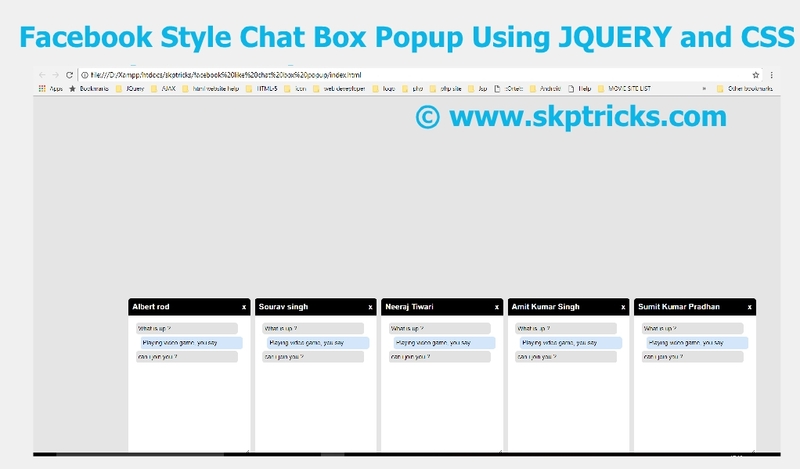 Today we are going to discuss how to create facebook style chat box popup box using HTML and CSS. 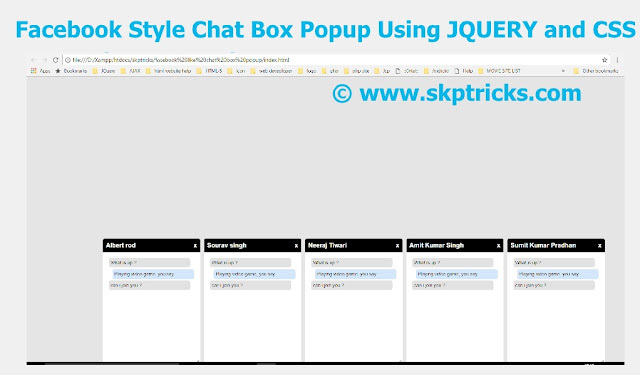 Here we have implemented and provided simple example for facebook style chat box popup and layout design for the chat box is way more easier and simple. You can easily use and integrate this example in your websites. We have used Fixed position property of css to display the chat box one after another, by this way it will not effect the other css layout design. With the help of this you can perform multi user chat in single web page. You can close the chat session whenever required. You can minimize the chat pop-up box. The Latest chat box, should be displayed at right most corner. This consists of HTML layout design. 1. You can close the chat box by clicking on "X" symbol. 2. You can minimize the chat box by clicking on chat box head. 3. You can send the new chat message to desired user, by entering the text in textarea box. This is all about facebook style chat box popup box layout design. Hope you like this simple example. Thank you for reading this article, and if you have any problem, have a another better useful solution about this article, please write message in the comment section.